The US-UK tax treaty was signed in 2001. It has the formal title of the ‘Convention between the Government of the United States of America and the Government of the United Kingdom of Great Britain and Northern Ireland for the Avoidance of Double Taxation and the Prevention of Fiscal Evasion with respect to Taxes on Income and on Capital Gains’. 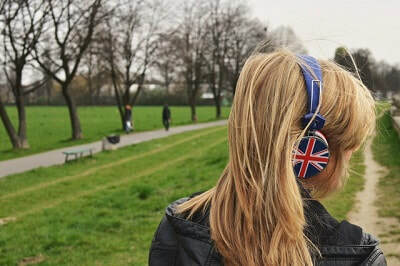 Before looking at what the US-UK tax treaty contains and how it might benefit expats, it’s worth briefly outlining US tax filing requirements for Americans living in the UK. The US has an unusual tax system in that all US citizens and green card holders are required to file an annual US tax return, reporting their worldwide income, even if they aren’t US residents or they don’t have any income arising in the US. The British tax system on the other hand just requires British residents to file British taxes. An American typically becomes a UK tax resident if they spend at least 183 days in the UK in a UK tax year (which runs from April 6th to the following April 5th), or if their only home is in the UK for at least 91 days in a UK tax year, or if the UK is their main base. This exposes many US expats living in the UK to having to file two tax returns though (this is normally unavoidable), and also leaves them at risk of double taxation (this usually is avoidable on the other hand – read on). Expats receive an automatic filing extension for their US taxes until June 15th, and they can request a further extension until October 15th should they require it, giving them time to file their British taxes first, which may be necessary. US expats in the UK may also have to file a Foreign Bank Account Report (FBAR), if they have a total of over $10,000 in foreign (non-US mainland) bank and investment accounts at any time during the year (including any foreign financial accounts that they have signatory authority or control over, even if not in their name). The United States – UK Tax Treaty covers double taxation with regards to income tax and capital gains tax. For most types of income, the solution set out in the Treaty for US expats to avoid double taxation of their income arising in the UK is that they can claim US tax credits to the same value as British taxes that they’ve already paid on their income. If they have income arising in the US, Americans in the UK can claim British tax credits against income US taxes paid to the IRS when they file their UK tax return. To claim US tax credits against British taxes paid, expats must file form 1116 when they file their federal tax return. Alternatively, some expats benefit from claiming a different exemption called the Foreign Earned Income Exclusion by filing form 2555, which simply allows them to exclude the first around $100,000 of their earned income from US taxation. Which exemption is more beneficial depends on each expat’s circumstances (e.g. types of income, residency status, income levels, and family status). The United States – UK Tax Treaty also covers corporation taxation, stating that a company will be taxed in the country where it is registered, unless it has a ‘permanent establishment’ (meaning an office, factory, or branch etc) in the other country, in which case the permanent establishment’s profits will be taxed in the country where it is located. It’s also worth mentioning that the United States – UK Tax Treaty has a clause allowing the two countries to share tax information, meaning the IRS can see what British taxes American expats living in the UK are paying, and vice versa. To claim a provision in the United States – UK Tax Treaty (besides claiming US tax credits), expats should use IRS form 8833. Like most US tax treaties, the US – UK tax treaty has what is called a Saving Clause, which in affect neutralizes many of the provisions of the treaty for US citizens, leaving the benefits available for British citizens living in the US. The savings clause doesn’t affect expats’ ability to claim US and UK tax credits as outlined above though. A separate agreement called a Totalization Agreement allows US expats in the UK not to pay social security taxes to both the US and UK governments. Their contributions made while in the UK can be credited to either system. Which country they pay to depends on how long they will be living in the UK for. Expats who are behind with their US tax filing because they were unaware of the requirement to file from abroad can catch up without facing penalties under an IRS amnesty program called the Streamlined Procedure, so long as they do so before the IRS contacts them about it.